30% to 300% increase in capacity. 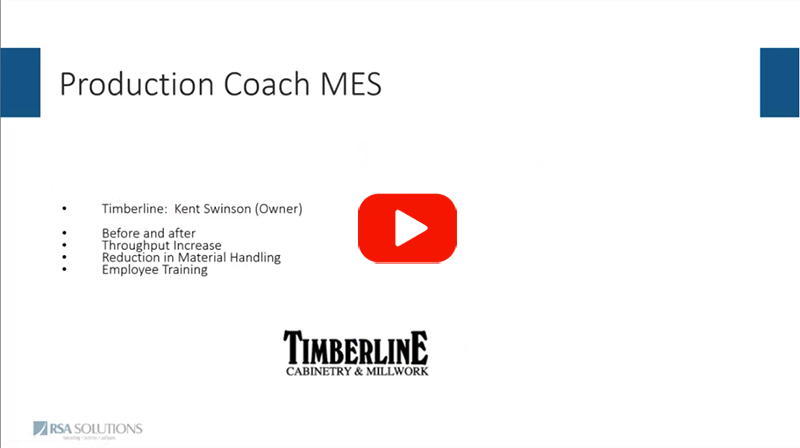 Production Coach is the only solution that manages parts, assemblies, broken parts, shipping errors, provides user friendly assembly instructions. 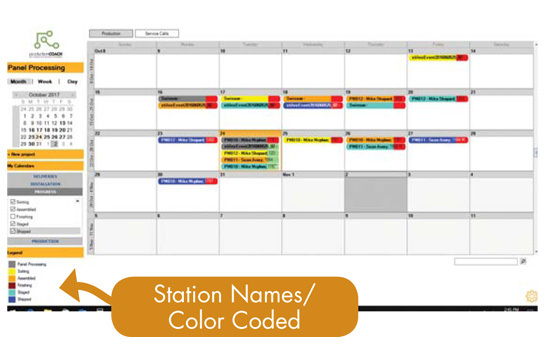 You can schedule your projects and track them through each stage of your factory. RFID – (Radio-frequency identification ) – RFID tag can be attached to an product during production, which can be used to track its progress through the factory. 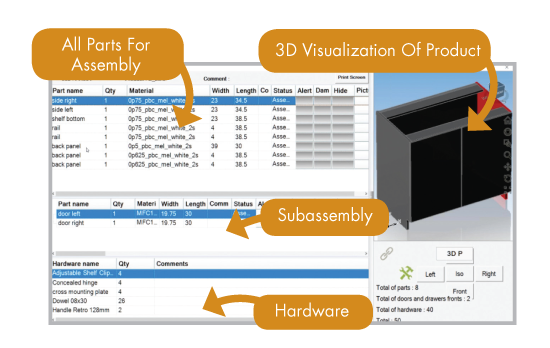 – Is currently deployed for products and sub-assemblies. The next release will include RFID for your parts. Just fill out this simple form, and we’ll email you the Production Coach brochure. 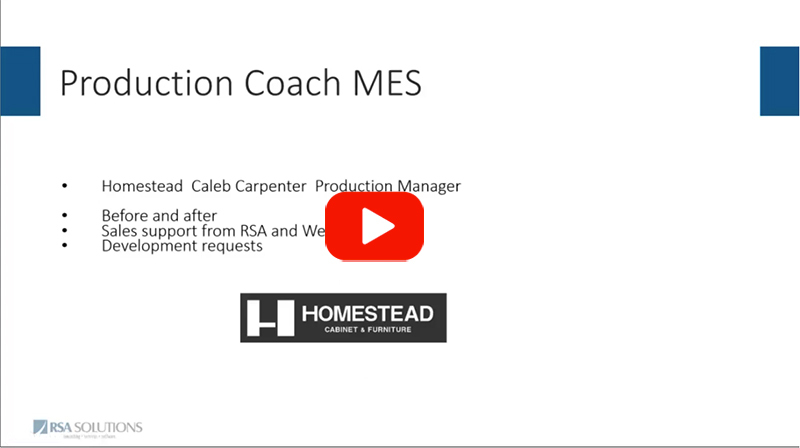 Production Coach utilizes a centralized SQL database connecting both office and factory to real-time data. 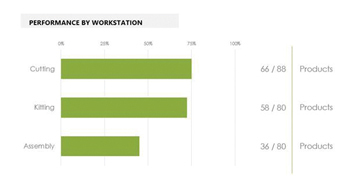 Web applications such as Jobsite Tracking and Timekeeping are synchronized with the Local Area Network environment. 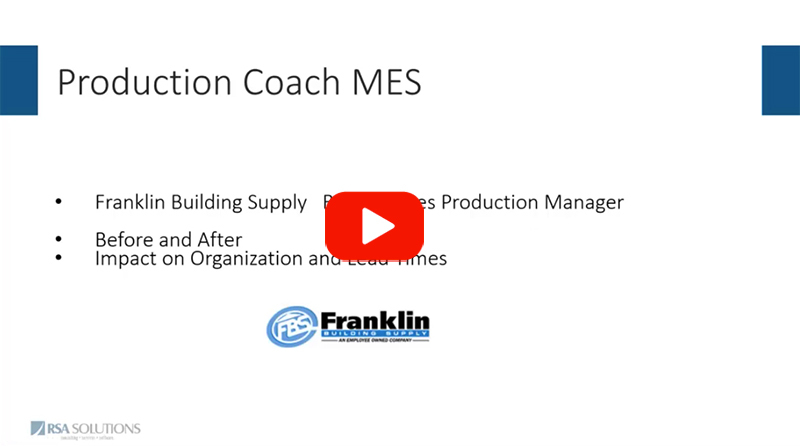 Production Coach is modular in nature meaning that you can do as little or as much as you want with it. 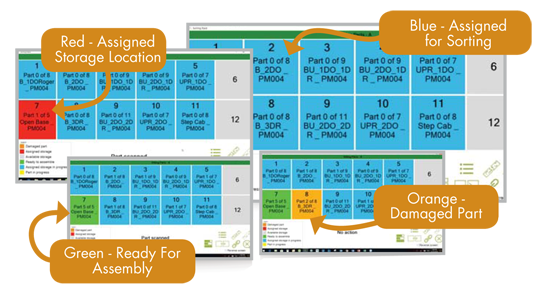 Successful deployment in your factory can be accomplished in days, not weeks or months. 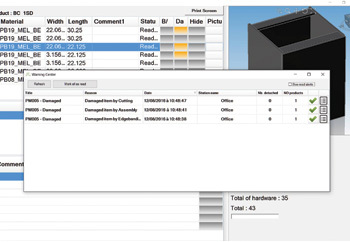 Import production orders from industry software solutions including woodCAD|CAM, Cabinet Vision, Microvellum, Cut Rite, Excel and more. 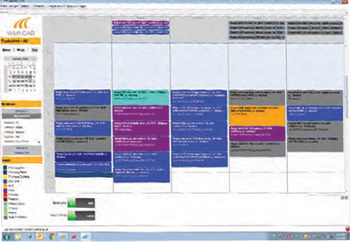 Automatic finite back scheduling of work orders for production, delivery and installation with unlimited calendar views. 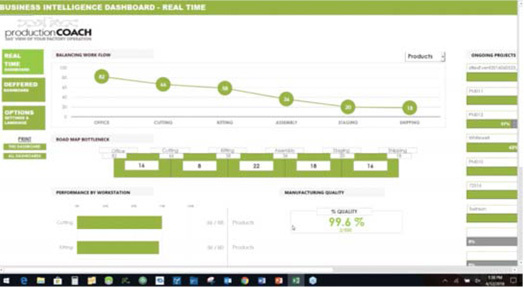 Real-time view of important KPI such as balanced flow, bottlenecks, etc, along with BIG DATA analysis of manufacturing history. 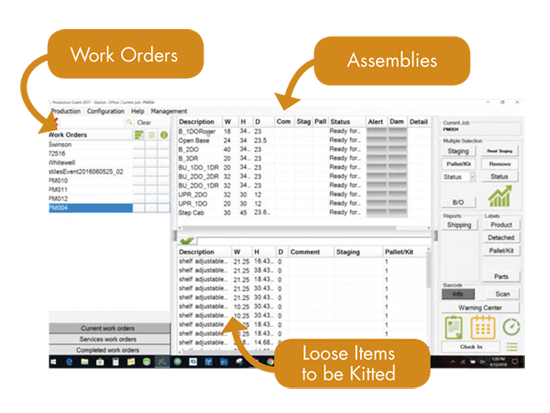 See the real-time progress of work orders as they move through the factory and jobsite. 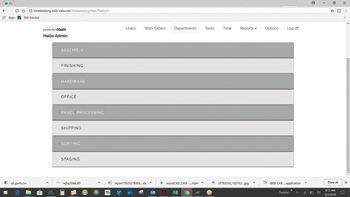 See status of orders or view by work center. 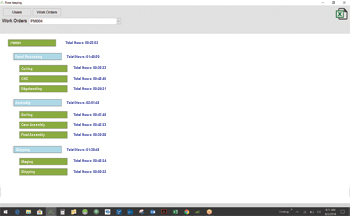 Reports and alerts of missing or damaged parts are created and distributed automatically. 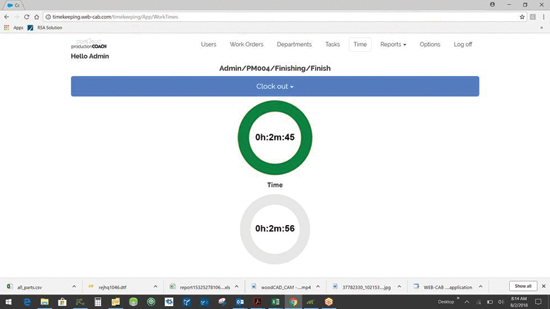 Web based time keeping for payroll and work order costing. 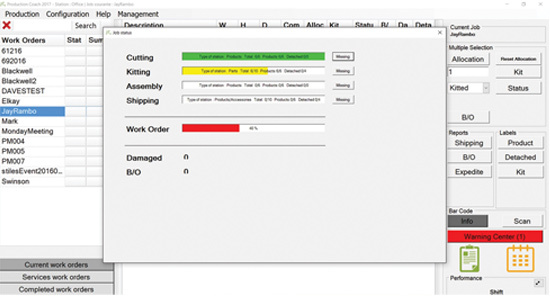 Grouping by edge material or part type for next operation, automatically updated parts status, and create damaged part alerts all from a single interface. 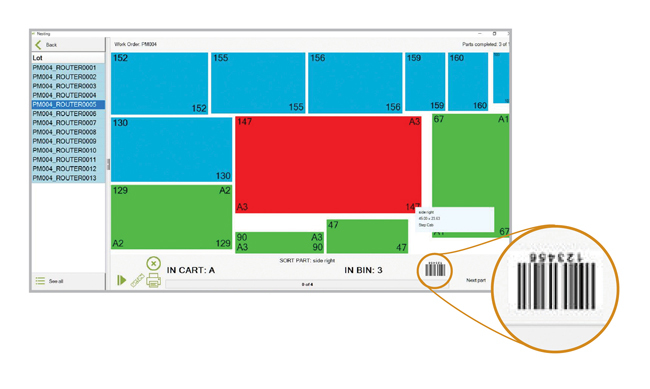 Generate on-demand labels, control and pace off-loading and label orientation. 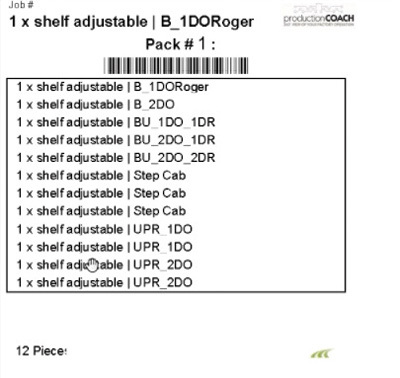 A single barcode scan organizes parts by assembly and provides feedback for missing items. 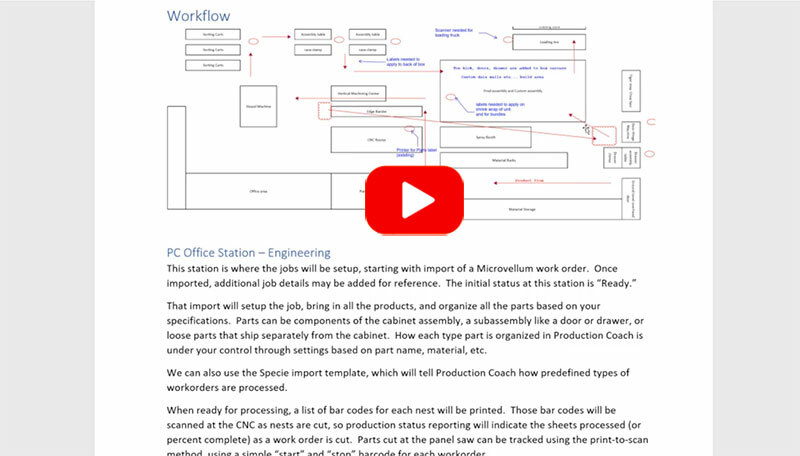 Assembly is notified of products ready to assemble. 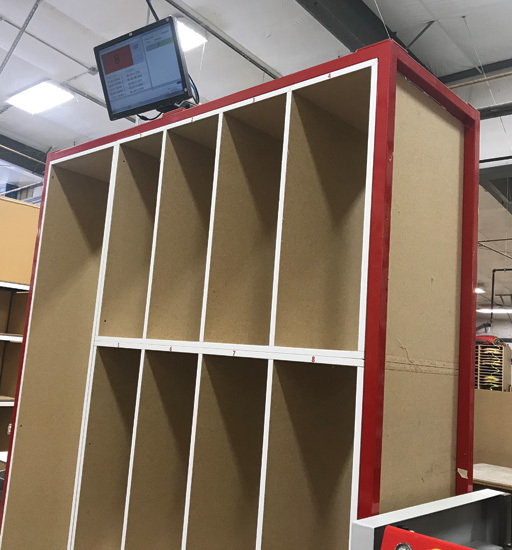 Sorting can be synchronized with other sorting stations: cabinet parts, doors/drawer fronts, drawer boxes, base assemblies, etc. Scan any part of the completed bin to start the assembly. 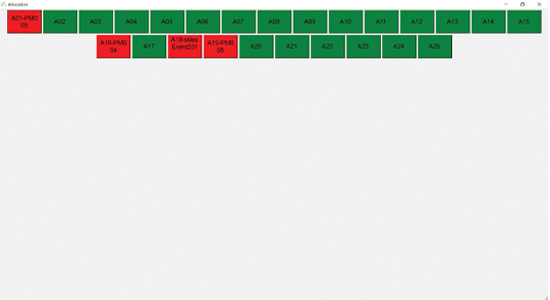 See part details and part position with the assembly. 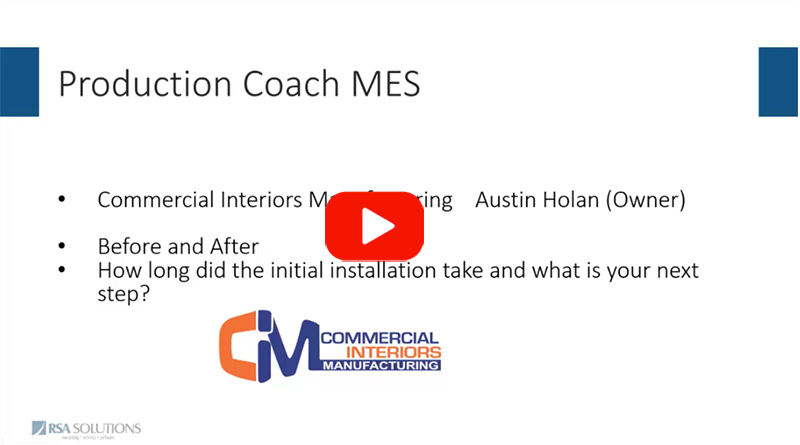 Reduce the need for wasteful conversations between engineering and factory floor staff. 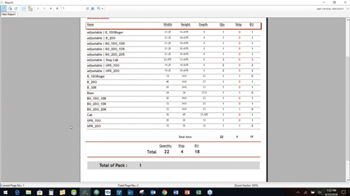 Create kits with unique barcode of pallets, parts, mouldings, hardware, etc. that need to be included in the shipping ticket. Example of a label of the kit created. Stage products, pallets, and kits into a designated location prior to shipment. 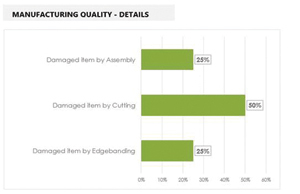 Ensure 100% accurate shipments, 100% of the time. 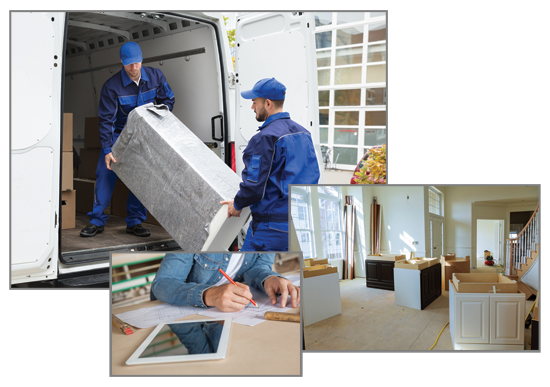 Generate instant and electronic verification of everything scanned onto the truck. 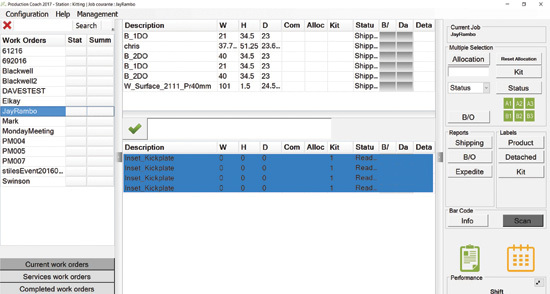 Create bill of lading for accounting. 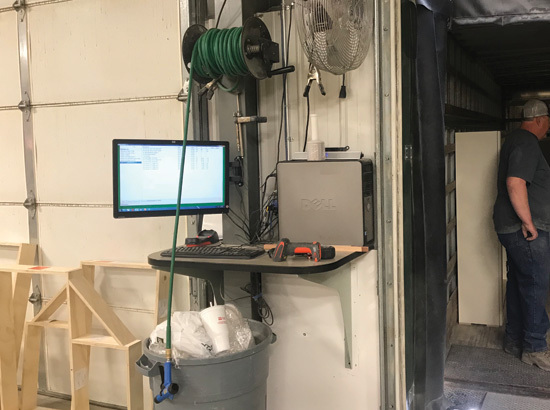 Web application for scanning products and kits off the truck at delivery and/or at installation. Data is synchronized with Local Area Network environment.